It's got 'Burning Spear', 'She Is Not Alone', this really long introduction before then guitar punctuated by one drum hit, it's a real build-up of excitement, and then it goes into this real dance beat behind guitars. It's so stripped down. Obviously they were experimenting with guitars and tunings, throwing their guitars around and creating all this lovely sound. 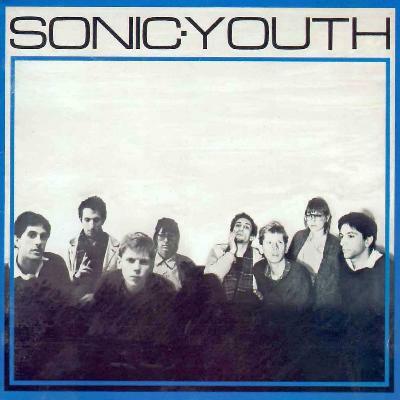 All Sonic Youth records are different, but if I was to grab one off the shelf and take it to a desert island it'd be this one. They're a pop band sometimes, and that's what I can relate to. You're taught to make the perfect pop song if you grow up on chart music, and then they tried to make a pop record in their own way. You can't work out whether they tried really hard or whether they were lazy and cynical about it, a bit like the Martin Rev approach to classical music. Again because it's a live recording it's got an atmosphere there, it's got a feeling and a presence of that moment, and grittiness, and it's very hard to record guitar like I love without having some grit in there. I've probably been into Sonic Youth the longest, and that's how later on I got into Glenn Branca and Rhys Chatham and all those people they championed. One of my favourite ever shows is the Brixton Academy feedback show they did. They just turned their backs on everyone and played feedback. You'd have hated that Luke!